Thanks for the follow. Your photos are amazing! thanks for the like on my post…Your photography is amazing ! Wow …. Thanks for stopping by. Your photos are beautiful. Thanks for the like, Toby. Your site has some great pics of waterfalls, very nice job taking those shots. Thanks for liking my post about La Sagrada Familia. Your photography is quite beautiful and you obviously have a lot of passion for taking pictures…can’t wait to see more! Awesome site. I’d like to see what you would do with that camera in Red River Gorge KY. Keep living the dream. Thanks for the kind words. I’ll have to add that location to my list for sure. I love your work. Thanks for stopping by. Honored by your visit!!!! and thank you so much for following my blog! Hi, I love all your photographs, the waterfalls are excellent! Hi Toby, thanks for the visit to my site. Liked your photographs a lot, specialy the waterfalls. Thanks for visiting. Your photos are great. I have taken pictures forever but I am really just learning how. Look forward to more on your blog. Will follow. Thanks for liking my post today on Tide Line Still Life. I really appreciate it, and I have thoroughly enjoyed perusing your work. I love reading stories about people doing what they love! Hi Toby, thanks for taking time to like my post “Just add backlight”. I took a quick look at your gallery images and with that I just had to follow you. That is a good body of work! some of your photos are super fab. thanks for sharing. your work is fabulous and inspiring. do drop by ever again, look forward to hearing from you. Hi Toby. Your photos are great! I hope I will learn something from you! And thanks for the like on my blog. If you ever want to tell me what I can do to improve a photo it will NOT hurt my feelings! Thanks for stopping by my blog! Your pics are wonderful and I’ll have to take some time to scout around. As note, those pics of the Ice-Cold Frozen Adventure were taken using my iPhone, so don’t hold me too accountable. There are better ones taken with my Nikon on my site. Best regards. Thank you for liking my Growing Wild post. I appreciate this coming from one who has your experience. Your recent State Park pictures are fabulous. Thanks for liking my “Ostsommer II” post. I’m just starting photography and your pictures are so amazing! I hope I can reach someday that kind of quality. But thank YOU for your kind words 😉 Yes, I’ve just started. Bought the camera in January and still struggling with all the possibilities. Exposure time, white balance and so on… ugh! So much to learn! Enjoy the journey. I’ll be following your progress. Appreciate your stopping by poetrycottage. Your photos are lovely. So ‘fresh and alive’. Your photos with accompanying descriptions are very interesting and creative! Glad you liked my poem “Cascading Waterfall.” Do visit again. Thanks, poet. You are so creative. Love your site. Thanks for visiting and I appreciate it. Thank you, Mick. I love your site. I hope to travel as much as you some day. Thanks for liking Stones and Feathers, Toby. I am enjoying checking out your photography and like it, too. thanks for the visit and for liking my post. nice blog you have here. Amazing photography! Thanks for liking my post. Thanks for you kind words, Makeda. I love your blog. Hi Toby! I’ve seen you stop by my blog a couple times, thank you for enjoying my posts! Hope to see you again! Thanks for recently visiting and reading my blog. Your photos are incredible. Really beautiful. Love the waterfall pictures. Hi, hi! Thank you for visiting my blog, and for the “like” on my recent post. I am happy you enjoyed it, and I appreciate your visit to my site. I enjoyed your blog so very much. Your photographs are beyond amazing. They are so breathtaking; I think I could sit and look at them forever. Thanks for the kind words, Pish. You have talent at finding creative perspectives. I love your blog. Thanks so much for visiting my blog and for liking my post. Your site is awesome by the way. Hi Toby, Thanks for stopping by and visiting my site. Your images make me homesick, my parents live just outside the Smokies and I love to go on trail walks when I am there. Good stuff! Thanks a lot for visiting my photo blog and the likes. Congrats for your images, really stunning! Thanks for the kind words, Riccardo. You have some incredible images yourself. I love your blog. Thanks for the kind words, T. Your blog is great! Thanks for stopping by my blog. Fabulous photos you have here, I shall enjoying trawling some more. Beautiful photographs, Toby. They are tributes to this earth. Thanks for the kind words, Jean. We certainly live on a beautiful planet. thanks for stopping by and the like. 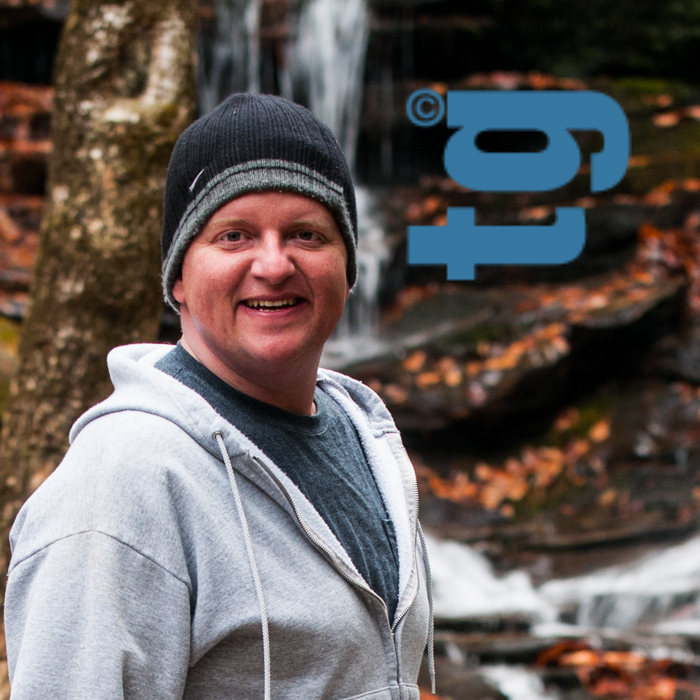 I enjoyed looking at your shots of so many of the beautiful waterfalls in Georgia. I have been to several of them. It looks like you are making your way through all of them. Best Wishes! Thanks for liking my story about oystering on the Chesapeake Bay. Your photography is amazing! It’s a great story, Brent. And who doesn’t love oysters? Also, there is something said for being independent. You have some fantastic photos here! Thanks for visiting and liking my blog and, in so doing, introducing me to yours. Love your theme line, “just living the dream” — worth subscribing to! Thanks, Mary. Your blog is incredible. It looks like you get your share of adventure. Thanks for stopping by. I would love to learn to take water shots !! Yours are fantastic. Thanks for the kind words, Sue. I like your blog. Thanks for the kind words, Lacy. I love your adventure blog! Thanks for stopping by my blog. I love your photography! And I know what you mean about moments in time – glad you’ve reconnected with the magic. Your magic is creating some inspiring nature shots! WOW. You have 8 children and still find time to maintain an incredible blog. You are amazing. Thanks! One of my daughters is a young photographer. She gives you a big thumbs up, too. Thanks for the kind words, Rigmover. Your blog is incredible. Thanks for liking my post. Your work is terrific!! Thank you for stopping by my site, and for taking the time to like one of my posts. I am very happy to have discovered yours, your images are beautiful. Please feel free to stop by again, I will certainly do the same. Best wishes from Japan. Thanks for dropping in on my recently established blog. Love the photos of the waterfalls; they remind me that we have some fabulous waterfalls here in Wales (UK). So when I expand my blog beyond Cardiff I now have another idea of a direction to follow. Thank you for sharing your photography! I have nominated you for the Versatile Blogger Award. To see the rules, please go to: http://versatilebloggeraward.wordpress.com/vba-rules. I understand your dilemma Toby. I started with black and white film which gave me compete control from capture to print, but it was color transparency film for publication which gave me pause. I had no control over it after capture. With digital, we have it all! Thanks, Debi. I can say the same about your blog. It looks like you share my kinship with nature and adventure. I’ll be following your blog also. Thanks, Maya. I love your blog. Lots of action there. Thanks for the kind words, Evan. I’m really enjoying your photographs so much. The sheer variety and all the nuances of the waterfalls are fascinating. I think I’ll be back soon to explore some more. Lovely pictures. It’s an interesting blog. Keep up the great work. Thank you for stopping by my blog and for the like! I went through your water fall posts on your main page – what wonderful scenes you have captured. I am looking forward to seeing more – following as of this morning! Thanks again – come by again any time! Many thanks for the follow Toby. You have some superb photography here! Thanks for the kind words, June!